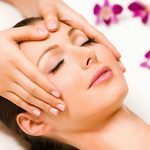 St Peters Massage offers the best massage at St Peters, NSW 2044. Experienced masseuses are very skillful and pretty. St Peters Massage can always relieve your stress. You will enjoy new renovated luxury environment, quality massage services and professional massage services. We have elegant & gorgeous young girls with professional & relaxation massage skills will pamper you all the time from top-to-toe. Provided by Experienced skillful and pretty Masseuses, in clinically clean premises. Ready to Get Yourself a Professional Massage? Rooms are modern renovated and very comfortable. You will love our place and will have fantastic time here. Contact St Peters Massage Today to Book Your Next Unforgetable Experience.